Small independent villa of 45 sqm. Entrance into the living room, open fireplace, two sofas (one of which is a sofa bed) kitchen. Bathroom with shower and washing machine. On the open gallery is a double bed. Private TerraceAsciano is a small medieval village located about 26 km southeast of Siena, in one of the most beautiful and sprawling areas of Tuscany, the Crete Senesi. The mostly treeless hills of clay have been shaped by wind and water into an almost surreal erosion landscape. 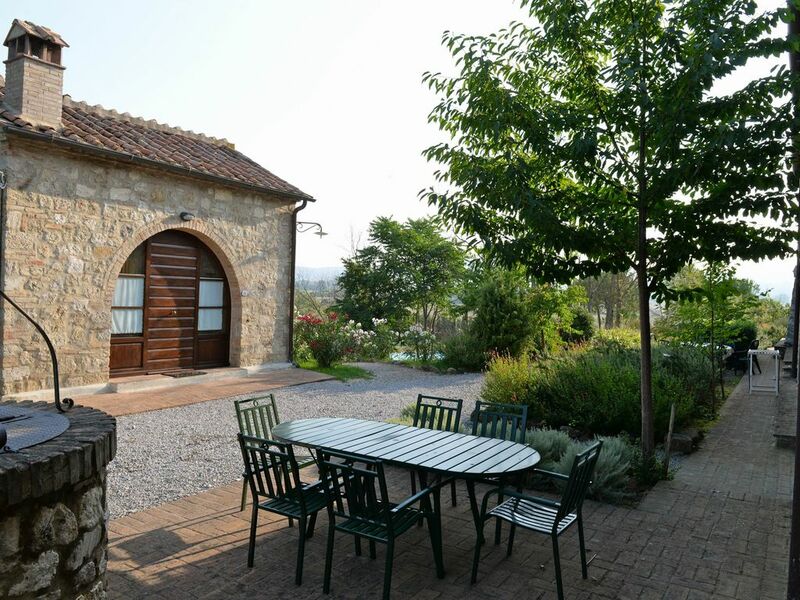 Asciano, still surrounded by the ramparts of the 14th century, is an ideal starting point for exploring the beautiful Tuscan countryside and the numerous monuments. Siena 25 km, Montalcino 30 km, Pienza 35 km. Montepulciano 45 km.